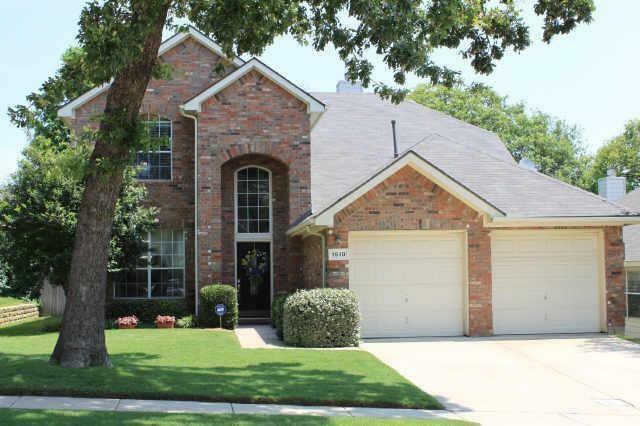 Beautiful Oakmont 4 bedroom 2.5 bath home located in Corinth, TX. Home is well situated near a greenbelt area with walking trails. The HOA for this home includes a social membership to the Oakmont Country Club. Wonderful floor plan is well suited for families and entertaining. Dining room also works as a music room, home school room, home office, etc. Open-concept kitchen with updated stainless appliances. Newer carpet, 2 newer HVACs (2017), some newer fencing, newer roof and gutters, lots of wonderful sunlight, expertly-crafted flagstone patio, downstairs master with 3 guest rooms and a living area upstairs. Water heater new this year.